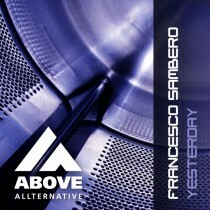 Francesco Sambero, born in 1987, is a young Italian Techno/Progressive House producer. His first approach with the desk came when he was just 15, then the natural slide was off to the production. Ableton’s big lover, his first productions under the alias Davies Oh showed his Trance side, as his latest works took the road of the progressive house and techno. He collaborates with other italian producers, like Fabio XB (Armada), Amex (Black Hole), Max Savietto (Maze Man)…And his tracks was supported by many big DJ’s like Gareth Emery, Markus Schulz, Moonbeam, Paul Oakenfold, First State, TyDi and many more…. The remix comes from Diego.Morrill. This Mexican producer puts his own techy sound to this release!